We believe in building lasting relationships with our clients by placing client expectations above all else in order to lead the Kansas City housing market towards truly durable and health promoting homes. We combine the design and build processes, often complicated on their own, into one process creating an experience that is less stress and based on trust. The Design & Build process outlined below is how we dedicate our time and experience to you and your project in order to accomplish this mission. We believe that trust is the fundamental element in the equation of a successful project. Your initial in-person meeting with our president determines if together, we are compatible and able to build a lasting relationship. We pride ourselves on providing the most durable and innovative new builds and remodels for our clients, and the desire to achieve this standard is a necessary component in the clients we work with. Send us your preliminary project information to get started, then after we review it we will contact you about sitting down for your initial meeting. The design process allows us to better grasp your project while at the same time making the process of preparing to build exciting for you. Many builders rely on change orders to solve the problems that come up during the build process. We work together from the beginning, starting with design until we have developed construction documents that outline every detail - from the flooring to the fixtures. We stand out amongst competitors due to the accuracy of our estimates and the creative solutions we develop during design to solve your project's unique challenges. It's a core PDB belief that we can't effectively fulfill your project objective if the expectations aren't entirely understood. Unlike most builders that often create an estimate based on vague assumptions, at PDB we identify potential road blocks at the individual sub contractor level and propose engineered solutions for the best project experience. The end result is a scope of work unlike any other that demonstrates how PDB plans to fulfill your project objective and overcome foreseen obstacles along the way. Good relationships are built on communication and transparency. Now that we have a good understanding of what it will take to execute your project, we deliver a preliminary estimate and team bios so you know who you'll be working with for more confidence in choosing PDB as your partner during this exciting time. After agreeing upon the build contract and submitting the deposit to be placed on our schedule, we move into the next step in the design process to work towards your final construction documents. Your project success relies on thousands of complex decisions that we tackle through team collaboration to transform your project from a scope of work to a buildable set of plans. PDB works closely with the architect, engineer, interior designer, and sub contractors in the process of assembling all client selections, a project calendar, an accurate final estimate, and billing schedule. Our team ensures all energy efficient, comfort, health, and durability components are correctly in place. Then, together we sign the contract to move forward and obtain the final approvals and permits necessary for construction. Building is more than labor. To us, the construction process is a chance to truly build a lasting relationship. During your build you get unparalleled communication with your project manager and client experience manager. To overcome the obstacle of not being able to be on site at all times, you are given a unique interactive project dashboard that you can access from any computer or phone. Here you can keep up on progress, view upcoming work, and post discussion items. The walls are enclosed after insulation is installed, then surfaces are covered with drywall, tile, flooring, and trim. 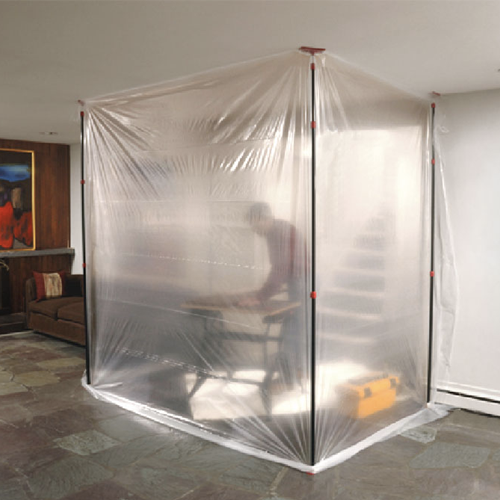 The containment walls keep dust and debris from entering any living spaces. Together we walk through your project site in preparation of groundworks and/or demo. Together we define work areas and placement of construction materials as well as create a dust containment plan to enforce our clean, dust-free construction environment. Our durable framing system is erected and services are installed, including as necessary; heating, ventilation, A/C, plumbing, and electrical components. Now for the final touches - paint, cabinets, appliances, countertops with backsplash, and fixtures are installed to add the style to your new spaces. We follow through with the minute details to ensure your vision has been achieved so you can move into a beautiful, ready to use home. After you move in, we follow up on how you're liking your new remodel or home after one month, six months, and 1 year from completion. We are aware that reasonable fixes do come up considering a home contains thousands of components in it, so we're always a call away. Our clients make themselves available to us as references for future clients and we take pride in maintaining a relationship that helps all of us move towards a future of truly durable and health promoting homes.